A lot of beauty bloggers start blogging because they want free samples: Not the case with me. While I'd love to get free makeup in the mail for the rest of my life, I started this blog to make a difference. I'm here to show you green beauty brands you can trust. 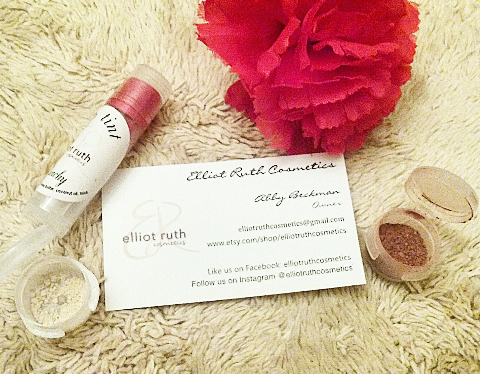 That's why I'm reviewing Elliot Ruth Cosmetics: After Abby Beckman reached out to me, the owner of the brand, I decided to investigate her Etsy store. To say the least, I liked what I saw. Here is my honest review of the samples I received. As a disclaimer, I feel I should let you all know I wasn't paid to review these samples, and I certainly won't make any money if you purchase something. I'm just expressing my honest opinion. While I did receive these samples for free, it was out of Abby's kindness, not because I requested them for free. Please contact me if you'd like me to review any of your beauty products. Or, maybe you're in the mood for a video? Watch me upackage these goodies here. Etsy is a great place to find homemade items, even cosmetics. Elliot Ruth Cosmetics is only one of the green beauty brands you can find on the site. Created by a woman named Abby Beckman, Elliot Ruth Cosmetics is a one person operation featuring mineral based beauty products. 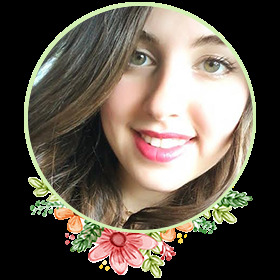 Abby became interested in natural beauty when she took a sustainability course in college that sparked her interest in clean, chemical free products. She started by creating chemical-free cleaning products but transitioned into makeup when she became pregnant with her son. When her family and friends began noticing the quality of her makeup products, they encouraged her to sell her homemade cosmetics online. Thus, Elliot Ruth Cosmetics was born. The store boasts a wide array of cosmetics such as eyeshadow, blush, foundation, and lip tints, all in various colors. The shop's newest products are lip tints (one of which I reviewed). She even sells vegan-friendly brushes for the eyes and face. As an all-natural makeup brand, she only uses simple, non-toxic, mineral-based ingredients that rate very low on Environmental Working Group (EWG) list of concern such as mica, titanium dioxide, and kaolin clay. 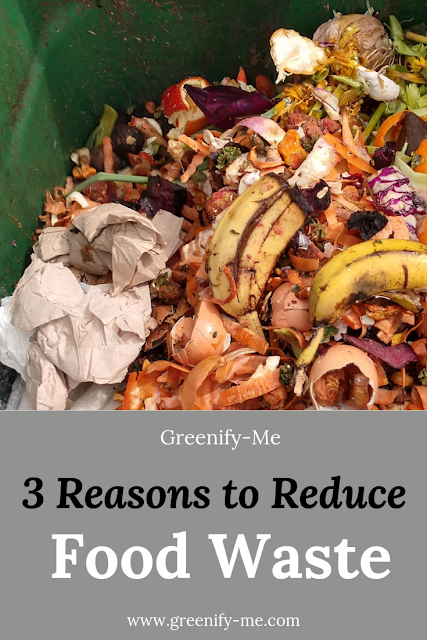 By supporting her business, you'd not only be getting some really great makeup, but also taking a stand for green beauty. After all, if one woman can create safe beauty for a slew of people, why can't big name brands? Why you want it: Super pigmented, this slightly off-white eye shadow will stay on all day without melting off (even in intense heat)! My review: Have you guys ever played "The Last of Us"? If not, check it out (it's amazing - if you like zombie games and a great plot). There's a character in it named Ellie, so as soon as I saw this eyeshadow color, I thought of her. That's not the reason I love it though: It's super pigmented to the point where just one little dab sticks onto my eyelids all day. I put primer on my eyelids before applying it, as I do with any eyeshadow. However, most eyeshadows I use (even with the primer underneath) will start to melt or crease at some point in the day. This stuff? Not even a little. I used it in the corner of my eye to create a more 'awake' look (which it's perfect for, since it's off-white), and it really made my eyes pop. The first time I used it I applied it to my whole eyelid (it didn't look bad, but I didn't expect it to be so bold. In the picture on Abby's website, it looked a little more sandy and golden than it did on my eyelids. This isn't to say the picture lied: When I opened the sample, it looked sandy, golden, and had a gorgeous sparkle to it. However, I suppose when mixed with skin it creates a slightly different color, which is fine by me! I was a little surprised by it, but not disappointed at all. It was actually quite exciting getting my hands on a eyeshadow I knew would pop, last, and stay on all day long. The ingredients in this product are safe too: Titanium dioxide received a 1-3 score from EWG, kaolin received a 1, and mica received a 2. 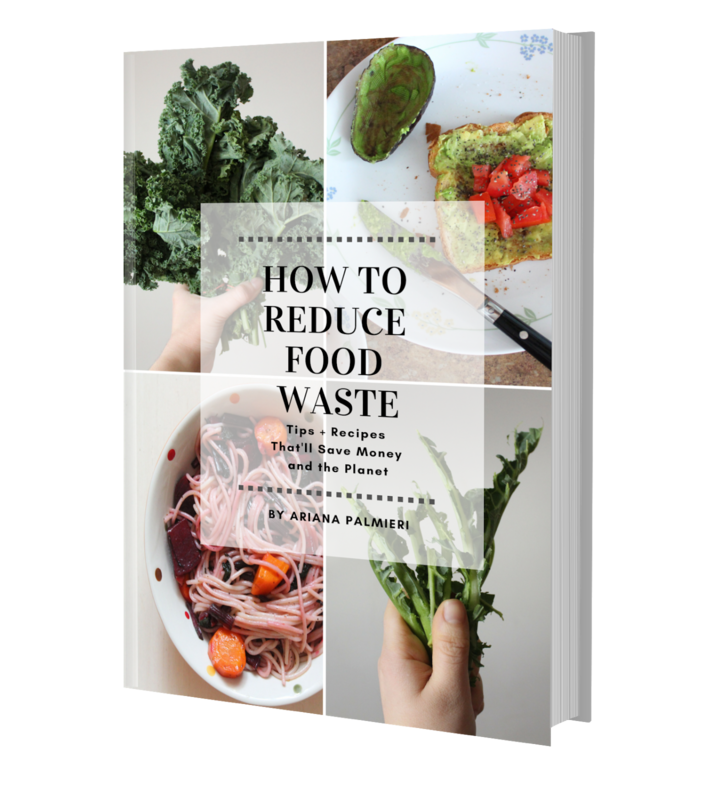 In EWG terms, low scores are good scores because it means the ingredient is a low hazard to humans. If you're wondering why titanium dioxide received a 1-3 (3-6 is considered a medium hazard), check it out here. Apparently titanium dioxide's hazard score depends on how it's being used: The hazard level is only a 3 when titanium dioxide is airborne or used in a product you inhale. 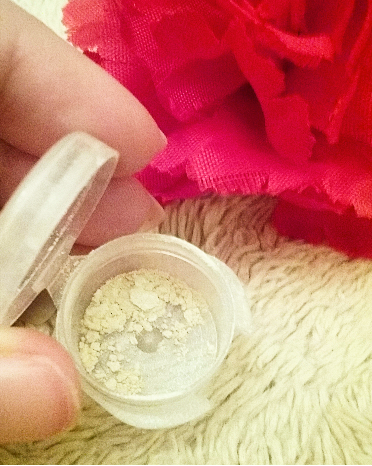 Since this is eyeshadow (and you shouldn't be inhaling it or throwing it into the air), you have nothing to fear. Remember: I would never recommend using anything I didn't feel safe using on myself. Since I absolutely loved this eyeshadow, (and the ingredients are very low hazard), it would be stupid not to recommend it. So definitely give it a try (especially if your eyes need a pick-me-up)! Titanium dioxide, kaolin clay, mica (yes, it's that simple - only 3 ingredients!). Why you want it: If you love bold, rosy brown colors, you'll love this blush (a little goes a long way)! My review: This blush is a beautiful rosy pink brown color that reminds me of the forest, for whatever reason. I don't usually wear brown blushes, but this blush had just enough pink in it to make me want to try it. Very earthy, and very pigmented, I didn't need much to create the look I was going for. In fact, the first time I applied this blush I put way too much on. 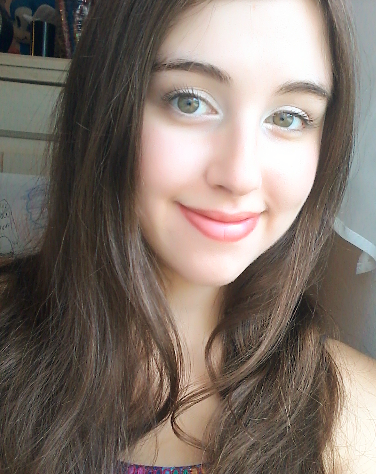 My cheeks ended up looking like a 5-year-old had done my makeup. I always use cream blushes, so I forgot how pigmented powder blushes can be (silly me). With cream blushes, you really have to layer them in order to achieve a bolder look, and you can rub it in/blend using your finger if you think you added too much. Not so with powder blushes. The first time I tried the June Mineral Blush, I kept trying to rub off the excess with my fingers and ended up just making it look worse. It was actually pretty comedic. However, when I tried again (using just a very tiny bit), it looked lovely. It gave my cheeks a sultry, slightly refined look. I also looked a little more mature while wearing it. I really liked it a lot and still have a lot more left. Less is totally more with this stuff, and it lasts on my cheeks a while, but not as long as the Ellie Mineral Eyeshadow. 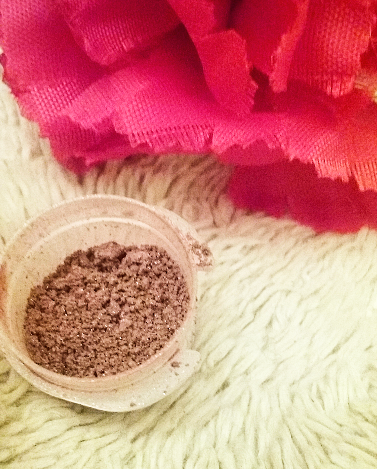 All the ingredients in this blush are the same as the ones in the Ellie Mineral Eyeshadow, expect for iron oxide. Iron oxide is a completely safe ingredient too, considering EWG gave it a score of 2 (which means it's low hazard). I would recommend this blush to anyone who likes dark pink powder blushes (and knows how to apply them). Titanium dioxide, kaolin clay, iron oxide, mica (isn't it great how such an amazing pigment can be created from only 4 ingredients?). Why you want it: This lip tint isn't subtle, but bright, tropical, and a total game changer (as soon as I applied it, it lit up my whole face)! My review: You always hear everyone talk about lipsticks and lip glosses, but what about lip tints? They need some love too! This one especially: Punchy Lip Tint is a super stunning coral pink shade perfect for the summer. You can apply a quick, light layer of it for a subtler look, or layer it for a brighter, more bold look. Either way, it reminds me of a beautiful red hibiscus flower (like this one), and makes me feel like one too. The best part? It nourishes my lips while I wear it. That's probably because its made with shea butter and coconut oil, two very moisturizing ingredients that never disappoint. 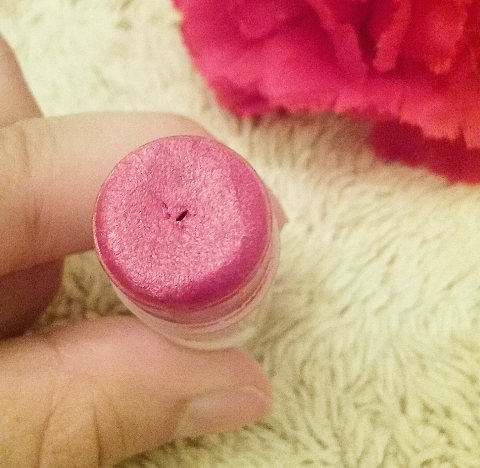 Note: This lip tint may not be suitable for people into vegan makeup, due to beeswax being one of the ingredients. Aside from that, everything else about it is fantastic. Every time I wear it, I get compliments on how beautiful I look. It lights up my whole face and makes me feel super appealing. Plus it's easy to apply and practically glides on my lips. Unfortunately it doesn't stay on as long as the eyeshadow and blush do, but that's okay because it's simple enough to reapply. However, it never gets flaky or uncomfortable on my lips when it starts to deminish (like most lipsticks do). Since it's super light, I can barely tell it's even on my lips unless I smack my lips together. I totally recommend this to anyone who loves coral shades and lightweight (but nourishing) lip tints. Beeswax, shea butter, coconut oil, mica (I wish I knew what color mica was used for this one - the color is stunning!). Me wearing all of the Elliot Ruth Cosmetics samples. I really admire Elliot Ruth Cosmetics standards for clean beauty. I loved recieving some makeup samples for a change. I was impressed by how well everything performed: I didn't have a favorite product - they were all my favorite! I didn't need much to get a pigmented look from each sample. Abby Beckman was super sweet and great to talk to. The samples came exactly when Abby promised they would, so no delays! Each full-sized product is super affordable (nothing over $10). These products were so pigmented it was hard to get off, even with my favorite cleanser. If you use too much of the June Mineral Blush or the Ellie Mineral Eyeshadow, it might make you look a little silly (less is more!). The samples were a little hard to open so I had to be careful the contents didn't go flying (unfortunately Ellie Mineral Eyeshadow did while I was trying to take photos - that's why it looks so empty!). Conclusion: Out of all the makeup I've reviewed on this blog thus far, I loved these products the best. The quality of these makeup products are on the same level as 100% Pure products, which is saying a lot. While I understand mineral makeup isn't everyone's cup of tea, I highly recommend checking out Abby Beckman's shop, Elliot Ruth Cosmetics. She can be found on Etsy, Facebook, and Instagram. If you purchase something from her, let me know in the comments below! I'd love to hear what you think of her shop.